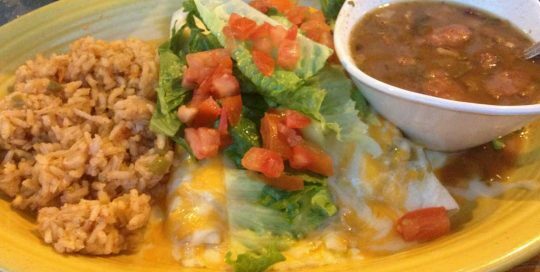 Our delicious enchiladas will get anyone excited about Tex-Mex! Pair up with one of our margaritas and you’re good to go! 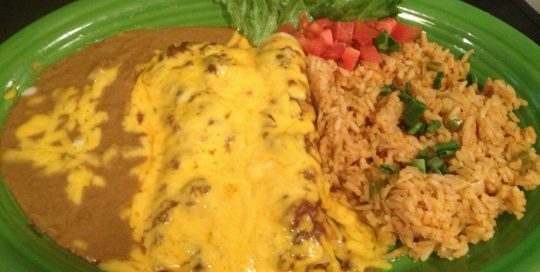 Served with Refried Beans & Mexican Rice. (Except Sour Cream Enchiladas) Chips & Salsa served upon request. 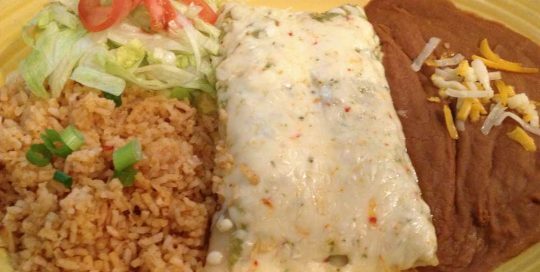 Two flour tortillas filled with sour cream and fajita chicken and smothered with mild green chili, sour cream sauce and jack cheese. Finished with shredded lettuce and diced tomatoes. 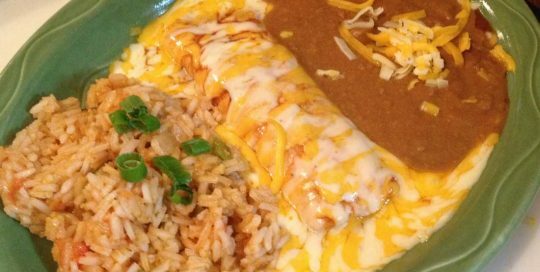 Served with borracho beans and Mexican rice. Cheddar cheese topped with enchilada sauce, Monterrey jack and cheddar cheese. Spicy chicken topped with our green chili sauce and pepper jack cheese. Spicy ground beef topped with chile con carne and melted cheddar cheese. Enchiladas	Overall rating:	4.7	out of 5 based on 338	reviews.